Fancy a ride with copper coloured detailing? Me too! Come see the collection of toy vehicles which has me weak at the knees. Designed in the UK and made from heavy duty plastic, PlayForever vehicles can handle some serious play while looking deliriously good. When not in busy coasting the streets of the playroom, show them off on a shelf, these vehicles demand to be seen. My favourite pick of the bunch is the PlayForever Heat ($89) in moon grey. 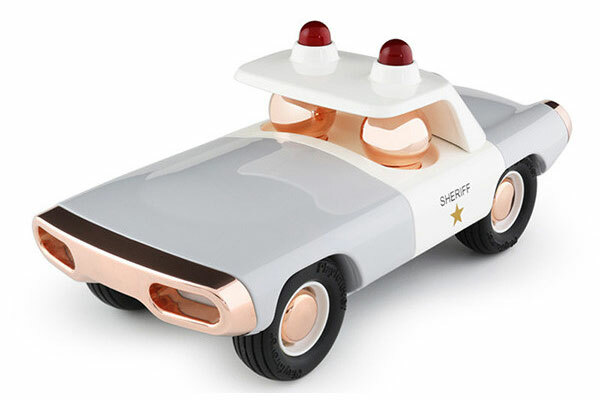 A vintage style Sheriff’s car, I can’t help but grow weak at the knees for it’s retro cool vibe, grey and white body and those flash copper bumper, hubcaps and passenger details. For motorcycle enthusiasts, wrap your exhaust around the PlayForever Enzo ($99). Gorgeous curved shapes in stunning moss green, there’s a fully loaded side cart and rose gold helmets and wheel caps to marvel at. The sky is the limit for those who like to fly high. 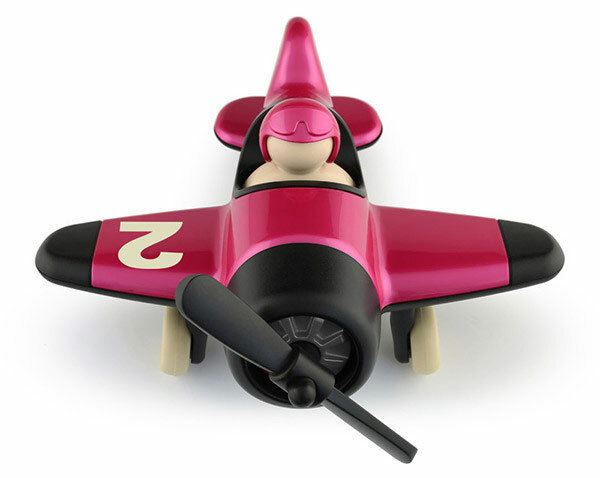 PlayForever Mimmo Aeroplane ($99) is positively dazzling in a blaze of rich fuchsia. Who says you can’t have a pink plane? 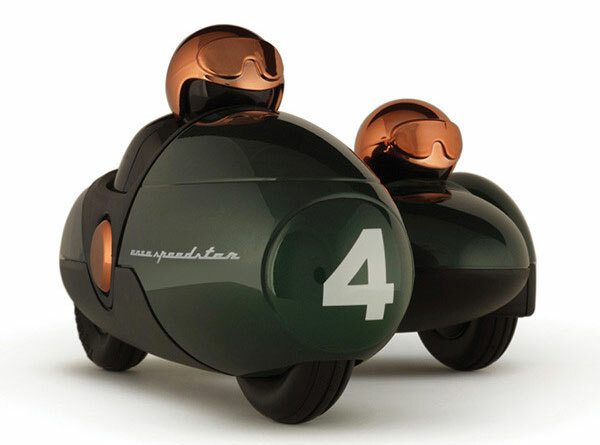 Check out the Playforever collection in its entirety at Lucas Loves Cars.